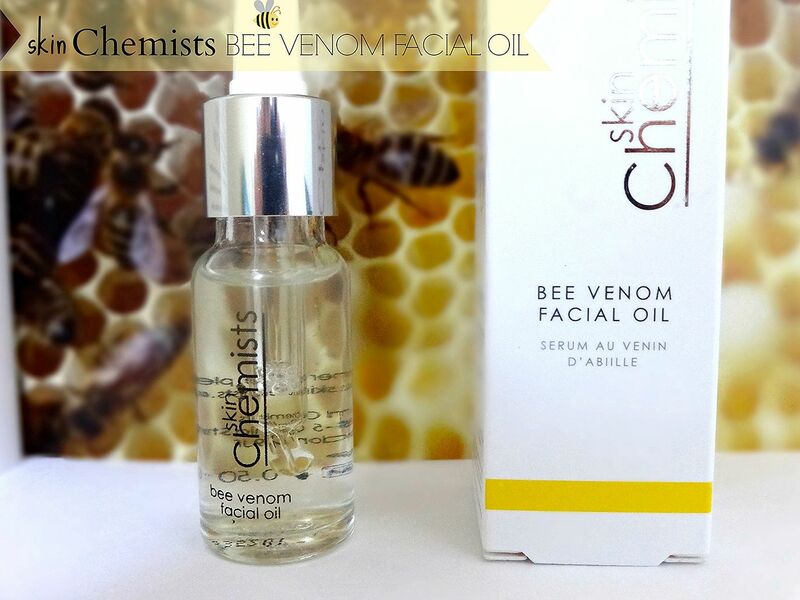 The key active ingredient "Bee Venom" is responsible for making this super serum such a new and exciting beauty product. It works by smoothing and plumping the skin, which is a result of increased blood circulation. The increased movement of the nutrients within the skins layers, also means that it is fantastic for reducing any pesky fine lines and wrinkles. Working at a spa means that I'm very aware of the huge importance of starting anti ageing at a relatively young age. Your skin starts ageing in your early 20's but it's always a good idea to start preparing your skin, as your skin starts to slow in its natural production of collagen, which is responsible for the plumpness and elasticity of your skin. Key ingredients include Manuka Honey, which is a super ingredient within my eyes. Honey is one of the most wonderful, nourishing and repairing ingredients to ever be used. Manuka Honey is sometimes used in medical professions to heal and repair the skin, which is fabulous as it's a beautiful natural product. The combination of alpine rose stem cells help to prevent the loss of your skins precious collagen, which therefore helps the skin to keep its vitality. 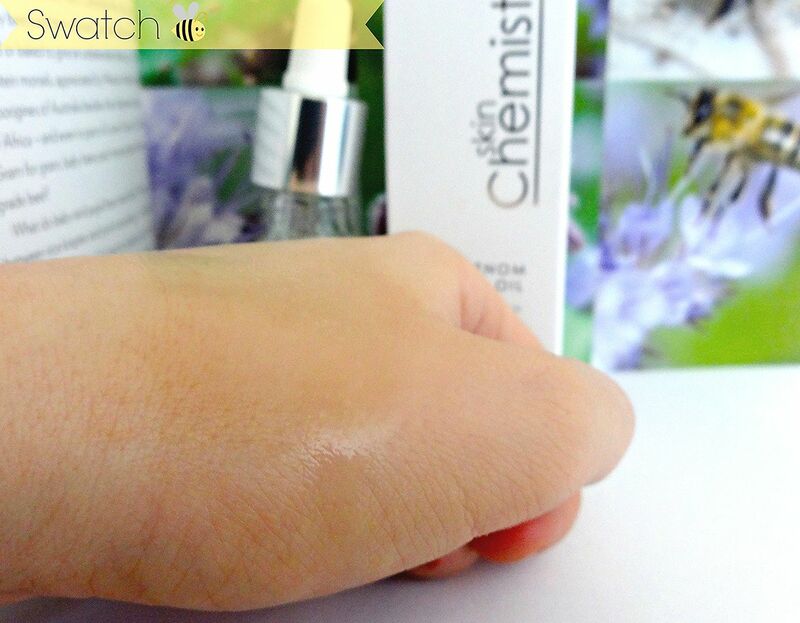 A good way to test your skins elasticity is to lightly pinch the skin on your hands! this shows how quickly your skin bounces back into place due to your natural collagen, but if you don't preserve your skins natural collagen then your renewal cyles starts to slow, and therefore your skin become less taught! I think that a smooth, plump and glowing complexion is on everybody's wish list haha! If that's not enough this serum has a wealth of other ingredients such as Almond and Bassabe Oils. These vital ingredients have a huge range of benefits and are rich in linoelic acids (Vitamin F), and Vitamins A,D and E. Vitamin F is an essential fatty acid which is vital for regeneration and the moisture levels of the skin. Plus it is a powerful anti inflammatory, which means that it is very soothing and can even treat skin allergies. Almond Oil traps the moisture in the skin whilst Vitamin E enhances the absorption process into the skin. Bee Venom has also gained itself royal status with it being a key product in Camilla Duchess Of Cornwall's pre wedding beauty regime. She then passed her beauty secret to radiant plump skin to Princess Kate who also used it in preperation for her wedding. It's not just the Royal's that can't get enough of this product, but also celebs including, Victoria Beckham, Kate Moss and Naomi Campbell! ...perhaps this is the secret to becoming a Super Model ? haha. 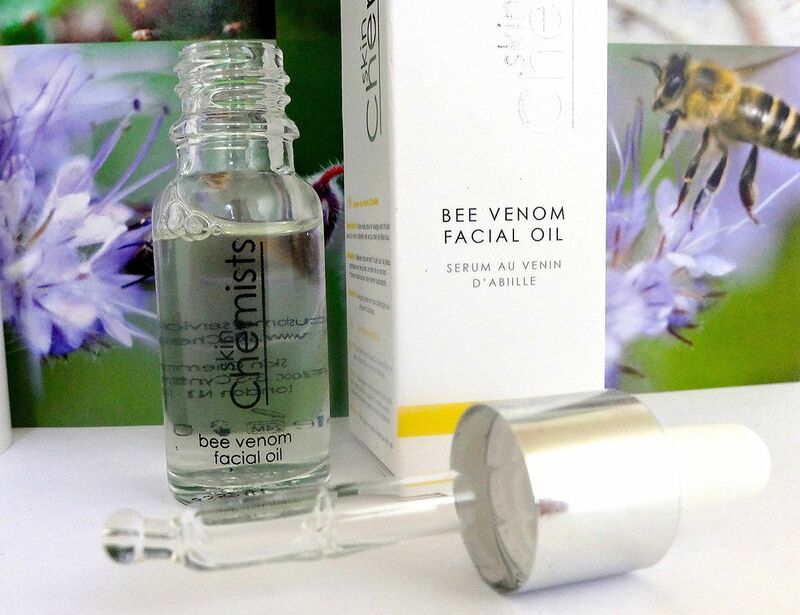 I have used the Skin Chemists Bee Venom Facial Oil for over two weeks now, and have found it to be really quite impressive. The texture is completely weightless, and sinks into your skin straight away without leaving a layer of residue. I have found my skin to be more hydrated, as recently I have been suffering with dry patches on my nose due to the cold and windy weather we have been having here in the UK. The most noticeable difference has been regarding a few cheeky breakouts I have had due to (lady time) I had two quite painful bumps, and by the next morning the raised area's had completely gone down. I do really like this oil, and think that its definitely going to take the beauty world by storm... but its price does kinda pack a bit of a sting! (excuse the pun haha) at £98.00 it is expensive due to its wealth of powerful ingredients. However, I have luckily managed to get my hands on an ahh mazing discount code for you, which will bring the price down to £29.99 (BEEOIL2014) Now that's more of a bargain haha! Click here to check out the Skin Chemists website! I hope you have enjoyed this post lovelies, and I would love to know what you think about the latest beauty product on the block! - would you give it a go ? Please note Bee's are not harmed during the production of this product. I've heard so much about Manuka and it's skin benefits, I prefer to eat it at the moment though haha! NEOM LUXURY ORGANICS ❤LOVE❤ CANDLE - Launch Day!